Germany-based card payments startup Payleven is going to make its chip-and-PIN service available to individuals, the company said on Wednesday. Payleven offers a similar mobile card payments service as the U.S. based Square. Up until now, Payleven’s chip-and-PIN service was only available to small merchants but as of Wednesday Payleven is offering the ability for private individuals to sign up for card payments in the U.K., the company said. Germany, Italy, Netherlands, Poland and Brazil will follow soon, it added. 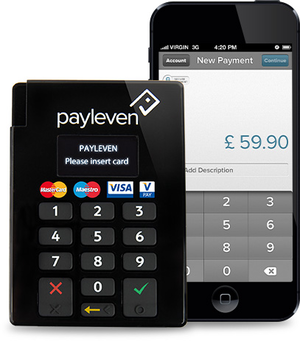 Payleven’s Chip & PIN card reader device accepts European payment cards that have chips in them and require PIN numbers. Cards accepted include MasterCard, Visa, Maestro and V PAY cards. Acceptance of additional card schemes will be announced in the future, the company said on its website. Individuals who want to allow chip-and-PIN card owners to pay them have to buy a payment terminal for €100 (US$130). All payments have a transaction fee of 2.75 percent, charged to the terminal owner, said Christian Hillemeyer, head of Payleven’s PR. When a terminal is purchased, however, the first €50 of transaction fees is not charged, he added. While individuals can transfer money free of charge using mobile bank transfers as well as other methods, Payleven thinks individuals will find a use for their service. “If you decide to sell something on a flea market it is much more handy,” Hillemeyer said, adding that people are used to payment terminals and not really used to paying people using mobile bank transfers. It could also be convenient for individuals wanting to sell something via classified advertising for example, he said. People can sign up for the service within five minutes and it will take approximately a day or so, depending on bank account verification and the arrival of the terminal in the mail, to start receiving payments, Hillemeyer said. Payleven’s launch closely follows the introduction of person-to-person chip-and-PIN payments by iZettle, a Sweden-based mobile payments startup, last February, iZettle spokeswoman Christina Lundberg said. iZettle also offers a mobile terminal for €100 and transactions for a 2.75 percent fee, she said. 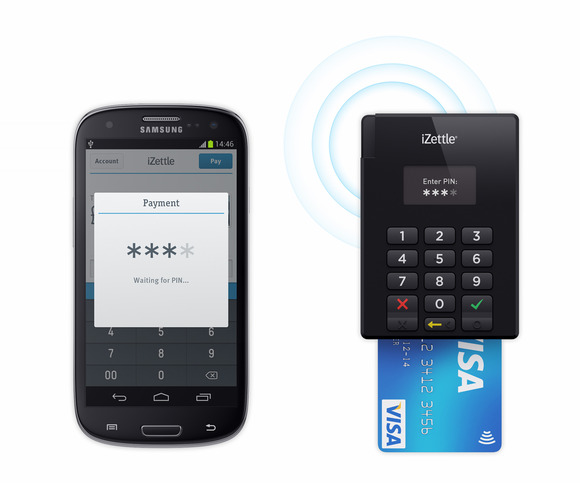 Apart from iZettle and Payleven, other companies are competing to offer mobile card payments in Europe. The German based SumUp, for instance, offers a similar service but only to merchants in several European countries. Elavon, another European mobile payments company, has been active in the U.K. and Ireland. And in February, PayPal too announced plans to introduce a mobile chip-and-PIN version of its payments service in Europe, starting with a selection of U.K. businesses over the coming months.